There are so many new apartment buildings in the works for the North Loop, it makes one's head spin. Michael Development Inc., St. Croix Real Estate Inc. and Residential Renewal Inc. are joining together to develop the 93,869-square-foot development. Construction is underway. 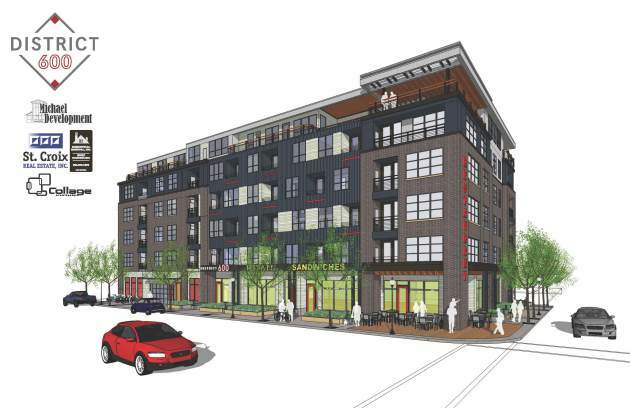 The six-story building and grounds are designed to be transit-, pedestrian- and bike-friendly, especially since they will be located near Hennepin County's Interchange transit station, also under construction. The building will include first-floor retail space, five floors of "residential homes," and two levels of underground parking. The units will be "competitively priced," said Terry McNellis, a principal with St. Croix Real Estate, in a statement. The construction team includes Collage Architects and Stonebridge Construction. The development is expected to be completed by June 2014.